No matter how graceful the choice of your attire is, or the beautiful jewellery you have put together for the wedding day, or perfecting any of the other hundred factors that make a beautiful bride, if you have overdone or underdone the makeup everything goes in vain.These bridal makeup videos will give you tips to nail that Indian bridal look through the use of 12 makeup components, and the result you will see is stunning! Check out the following video to find out how to apply wedding makeup. In makeup, the use of a colour corrector is to even out the skin colour, say if you have redness of the skin or blemishes. It is the first step towards neutralizing the colour profile of the skin before makeup is applied. A concealer from Nars or MAC seems a good choice to conceal all the unnecessary marks on the skin that you haven’t had the time to look after. 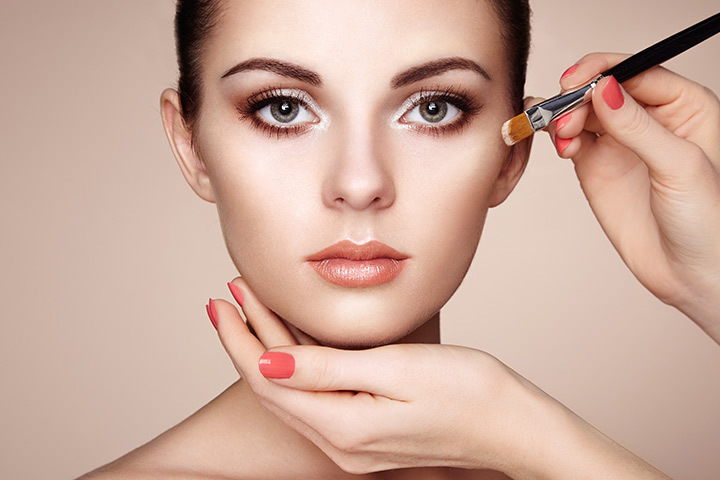 Dark marks or spots, the dark circles under the eyes, all of these are taken care of by the concealer. Makeup foundation leaves a firm, even skin on which the makeup will be retained and packed. A good base foundation, like the Mac studio fix foundation NC 35 or Graftobian cream foundation palette, ensures that the makeup stays much longer – an absolute necessity for the Indian bride. The following video is helpful in knowing how the base foundation for makeup is applied. Contouring does nothing but enhances features on the bride’s face. Like adding a slender look to the nose or accentuating the cheek bones. 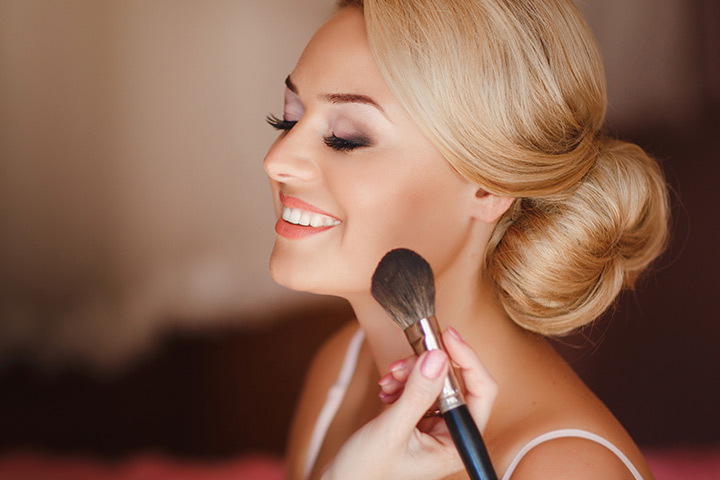 You should see how something like a contour stick does a miracle on the bride’s face! The makeup artists may choose from many pressed powders like Laura Mercier transluscent powder, Lou Mineralize or the Mac Studio Fix Powder. What these powders do is that they pack in the makeup and give a finishing to the work done already. A combination of powders can be used keeping in mind the skin tone and the type of skin being worked on. Once the powder finish is in place, you can add a powder contour like the Mac Mineralize skin finish to blend the contouring onto the powdered and finished surface of the face. Blush essentially adds the healthy pinkness below the cheekbone area, which gives a natural dimension to the makeup when not overdone. Like the primer base used for the facial makeup, the eye makeup also uses a good eyeshadow primer with the same function of holding the eyeshadow firmly in its place once applied. Now that the eyeshadow primer has been applied, the eyes are ready for their eyeshadows. Using products like the MAC Mulch Eyeshadow, Nars or Urban decay eyeshadows the makeup artist can achieve a gorgeous look for the bride. 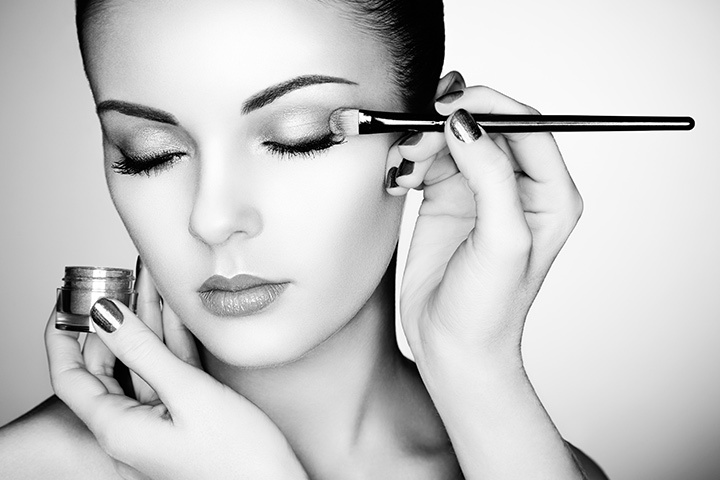 Check out how effective you can make your eye makeup from the following video. To finish up the eye makeup the eyeliner is put in place. Gel-liners are also a popular option these days in the Indian bridal makeup. It gives more definition to the eye make-up. The following video shows 3 different ways in which one can apply the eyeliner and achieve different looks. If you are sure you won’t cry your eyes out, then additional eyelashes can really round out the eye makeup. Adding eyelashes can accentuate the bride’s beautiful eyes in a natural way, complementing the overall eye makeup that’s been done. And finally to get the perfect lips to complete a perfect bridal look, a Soar lipliner can be used to define the lips and filled in with the Viva Glam 2 lipstick (both from MAC) or wear a Ruby Woo as shown in the video below. 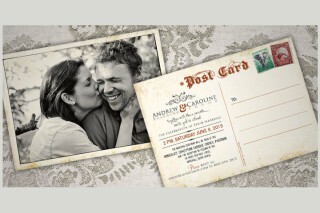 The result is a pair of lips so luscious, the bride can’t but smile! Checkout the following link to take a quick look at the makeup trends in 2015 and mix-and-match for the best Indian bridal look that you desire and deserve! These 12 components when combined with a careful knowledge of what goes with the colours of the attire and different accessories in the trousseau, take you to that perfect Indian bridal makeup that can be adapted for any attire, skin tones and other variables for an Indian bride. Try it out for a flawless bridal look and rock that wedding! 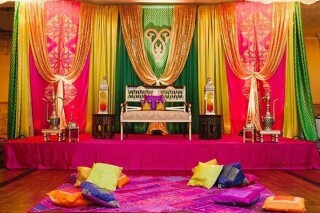 5 Spellbinding And Offbeat Themes For A Hindu Marriage!